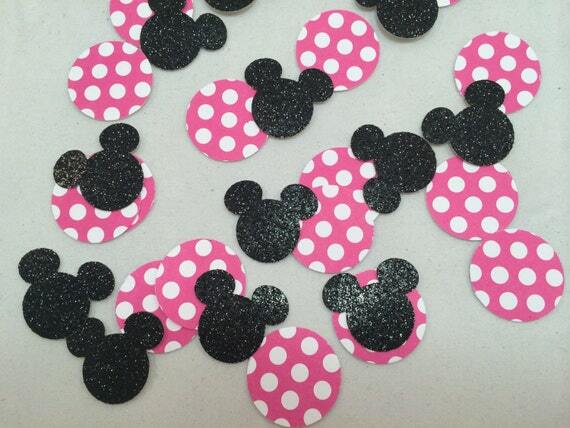 This confetti is perfect for any "Minnie Mouse" themed party. Each dot is polk-a-dot on one side and white on the other. The minnie heads are black sparkle on one side and white on the other. Dots are available in pink and white or red and white. This listing includes approximately 200 pieces. Need a different color scheme?